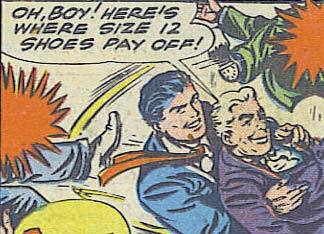 He may be white, but he’s got alot of “sole”. Sorry, I don’t mean to sound like such a “heel”. Speaking of shoes and boots and such, Jeff . . . I’d say that’s what you might want to import next into HM 3. That’s enough bad puns. Don’t make me put my foot down!